It’s easy to get your credit report for free; in fact, you can get all three copies from each credit bureau for no charge every year. Unfortunately, while your credit report contains all the financial information contributing to your credit score, it doesn’t include the credit score itself. 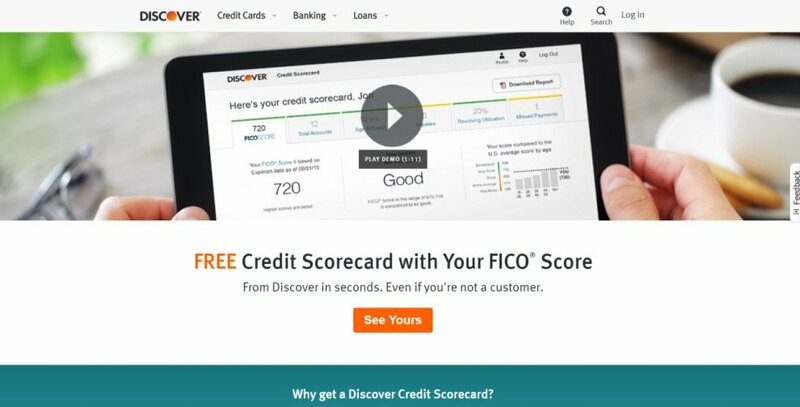 Several websites, like Credit Karma and Credit Sesame, offer free credit scores, but they use their own calculation rather than the FICO score. And since the FICO score is the one used by most lenders in the country, it’s the one you’ll want to pay close attention to. VantageScore 3.0, while less popular, is also a good option because it’s actually calculated by the credit unions and its usage among financial institutions is increasing. But unless you’re willing to pay for your FICO or VantageScore, it’s difficult to get an accurate view of your credit score for free. Luckily, more and more credit cards are giving their customers access to their personal credit scores for free, and often even include credit monitoring service. Browse the list to see if any of your current credit cards provide this complimentary service. If yours isn’t on the list but you’ve been considering getting a new credit card for other reasons, you can use these as a starting point to select the right one for you. Just remember that you never need to carry a balance to take advantage of a free credit score offer. 3 Why is it important to check your credit score? 4 Why do your credit scores differ? 5 How can you improve your credit score? Here is a comprehensive list of credit cards offering free FICO scores. You’ll find out what type of card you need, or whether general bank membership is enough to qualify. The credit cards listed below don’t offer FICO scores, but they do offer other reputable credit scores from some of the credit bureaus. Why is it important to check your credit score? Keeping track of your credit score is an important part of maintaining your financial health. It doesn’t matter if you’re actively working to repair your credit or are preparing for a major purchasing involving a loan. Whether you know you have good credit or aren’t entirely sure, the point is — you need to know. Compare it to getting a dental checkup and cleaning every few months. You might not have any cavities, but you still go to prevent getting any in the future. Checking your credit score works the same way. If you find out your number is low, you can get the help you need to fix it. If your credit score is on par, you know it’s a good time to get the best rates on a new loan, or refinance any current loans to a lower interest rate. Why do your credit scores differ? Even if you use the same scoring company, like FICO or VantageScore, you may receive a few different credit scores. It may seem strange that these numbers should differ, but in reality, it’s not uncommon at all. That’s because you receive a separate credit score for each of the three credit bureaus: Equifax, Experian, and TransUnion. Each credit bureau may collect slightly different financial data that contributes to your credit score. In some cases, your creditors may only report information to only one or two of the credit bureaus. It may seem complicated, but lenders view all three scores to get a more holistic look at your credit score. Typically they use your middle score to determine your loan terms. If you’re applying for a loan with a spouse or someone else, the lender usually uses the lower of the middle scores. So if your middle score is a 680 but your spouse’s is just a 625, the lender will go with the 625 for your loan application. The good news is, once you’ve accessed your credit score, you’ve already taken the first and most important step in fixing your credit. Knowledge is power and it can be especially helpful if you have access to information on why your credit score is where it is. Even if you don’t, it’s easy to look at your free credit report and see what negative items jump out. Anything like late payments or delinquencies will quickly lower your score. It’s best to get those accounts into good standing and continue to make payments on time. Lowering the amount of debt you owe is also a straightforward way to improve your score. It may not be easy to make those extra payments on your credit card each month, but lowering your credit utilization can have quick results if you’re trying to increase your score fast. You can also explore your options in getting derogatory items removed from your credit report. It’s is possible to do on your own, but it’s also helpful to enlist a professional credit repair company, especially if you have several negative items. Reputable companies understand your rights when it comes to dealing with creditors and collection agencies. While handling credit negotiations can potentially take a lot of time over the course of several months, a credit repair firm takes that burden off your shoulders. Plus, you don’t have to deal with the emotional issues that come with trying to negotiate credit repair. Instead, you have a professional counselor who is highly trained to work on your behalf. For a full list of great companies to work with, check out our list of reviews here. Regularly checking your credit score is great for your financial health. And if you can take advantage of a free monitoring service through your credit card or bank, then you’re already one step ahead of most people. Jump on the opportunity to keep a routine eye on your credit score. Not only does it help keep you up to date on important financial information, seeing that number on a regular basis can be a strong motivation to keep your spending and payments on the straight and narrow.